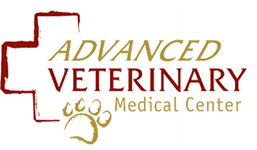 Meet the friendly staff at Advanced Veterinary Medical Center! Dr. Rozenbaum graduated from Michigan State University's College of Veterinary Medicine in 1990 with a strong interest in orthopedic and soft tissue surgery as well as diagnostic ultrasound. Dr. Rozenbaum has attended numerous continuing education seminars. Some of his specialties include fracture repair, surgery of the stifle joint, and abdominal ultrasound. Dr Lucas has been practicing veterinary medicine since 1990, and continues to love this work of helping people with their pets! She has served in private practice, emergency clinics and holds additional certification in acupuncture as well. She is married to her husband of 22 years with two amazing daughters, two cats, a Lab mix and three hens! Kim started working at AVMC in July of 2010. She graduated from Wayne County Community College’s Veterinary Technician program in 2009. She thoroughly enjoys working with any and all kinds of animals. It is her passion to get to know your pets as if they were her own.